used to help convicted felons rehabilitate and reenter society as productive, contributing individuals. 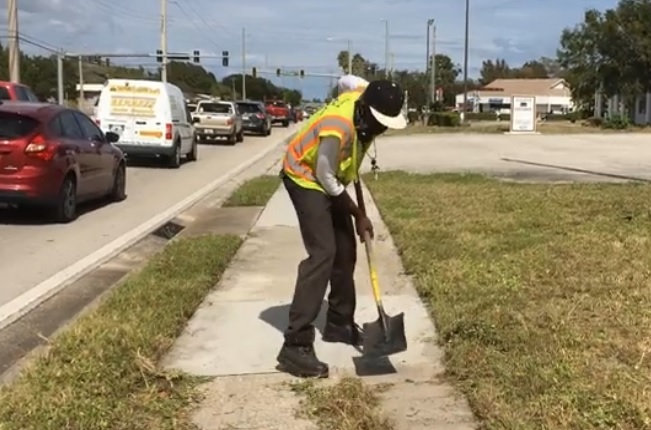 The City has partnered with Alternative Behavioral Services (ABS) managed by the Celebration Tabernacle Church in Cocoa to maintain City landscapes using the labor resources of convicted felons reentering society. The program, which began in February 2016, has so far helped nearly two dozen felony offenders successfully transition from prison back into the community. The idea originates back to the 2014 Crime Awareness and Prevention Summit held by Cocoa Mayor, Henry Parrish III. Members of the community and distinguished panel members discussed the impact prior offenders were having on the Cocoa community and the lack of opportunity to re-enter society. The discussion was continued at the community-based committee level during the development of the City’s five-year strategic plan. Born out of this process was a program that would support prior offender’s basic needs to ensure a continued life of crime would not continue. In addition to meaningful work and a purpose in community the offenders are also required to obtain their GED, attend financial literacy classes and attend church. Among the success stories is Tommy Dixon, 54, a convicted felon released from prison in April, 2016 after serving time for felony traffic offenses. Dixon said he couldn’t find a job anywhere until he heard about ABS. The City’s contract with ABS was renewed and expanded for this year and is funded through the City’s general revenue fund and dedicates $77,497 for the program. The funds pay for personnel for jobs that involve maintaining City-owned property and right-of-way locations throughout the city. The City works with ABS to process applications, place candidates in available positions and provide logistical support for the landscaping operations.